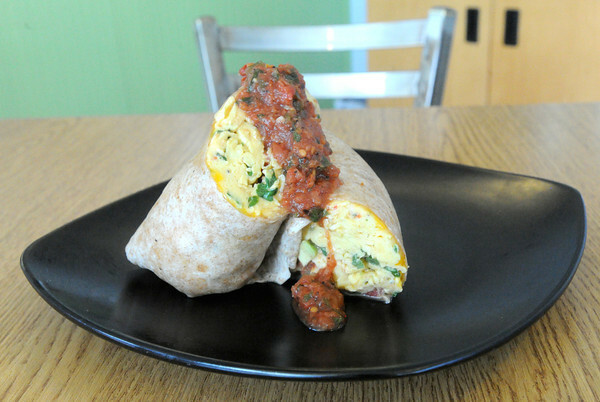 The Run Around is a whole wheat tortilla stuffed with scrambled eggs, monterey jack and cheddar cheeses, cilantro, green onions, roasted red peppers and avocado. The dish is cooked with olive oil and covered with "house made" salsa. The item is one of several entrees available on the breakfast menu.